Milo Ventimiglia, Mandy Moore, Justin Hartley, and creator Dan Fogelman discuss the surprising ending(s) and what's next for the Pearsons. 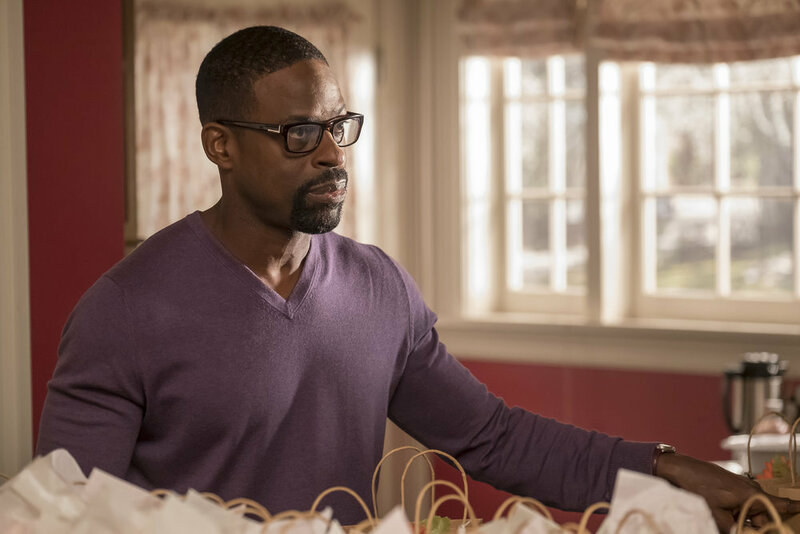 “This Is Us” wrapped up a season dominated by speculation with one definitive, and much-needed, ending: no more doting on Jack’s death. The untimely demise of Milo Ventimiglia’s Pearson family patriarch stole a lot of focus in Season 2, but that’s over: Kevin (Justin Hartley), Kate (Chrissy Metz), Randall (Sterling K. Brown), and Rebecca (Mandy Moore) all said a special ceremonial goodbye during Kate’s wedding reception. In the much-hyped Super Bowl episode, a shot of an older, gray-haired Randall sparked new fan theories as “This Is Us” jumped forward in time instead of backward. Where was his wife, Beth? Why couldn’t we see Randall’s wedding ring? Is trouble afoot? The finale will likely drive even more theorizing, as Randall and a grown-up Tess built up the courage to “go see her.” Who’s her? The writers aren’t saying, but they did debunk a few guesses. When asked if he was consciously avoiding Randall’s wedding ring — implying problems in his marriage — Fogelman said that was never the plan. (“But the internet is a wild place,” he said.) He also confirmed the time jump is 13 years in the future and said the story will be prominently addressed in Season 3. In a twist for the future that relates to the present, it was revealed that Kevin will be dating Zoe, Beth’s cousin, in the future, and they’re serious enough to be taking a trip to Vietnam together. But during the episode, it looked like Kate’s unofficial maid of honor Madison, played by Caitlin Thompson, who had her eye on Kevin. Well there’s a behind-the-scenes reason that coupling didn’t happen: Back in the real world, Thompson is Fogelman’s wife. 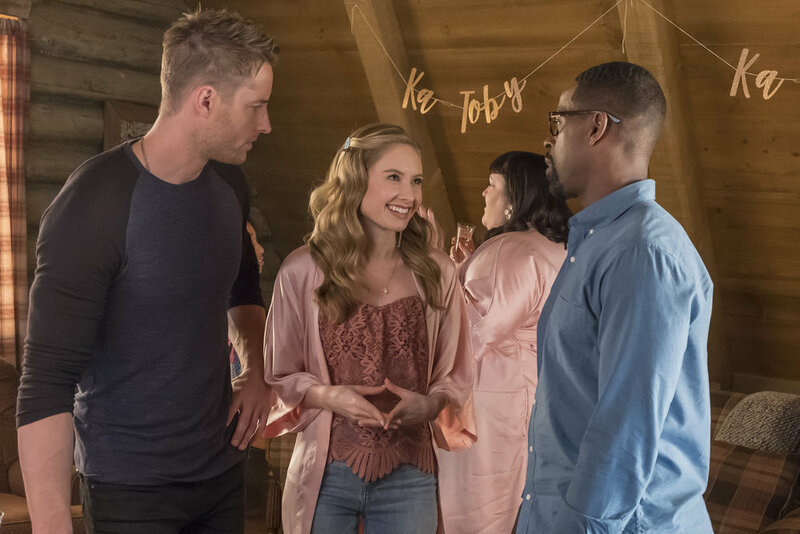 As for Kevin’s new relationship, the cast and creator were tight-lipped on how it develops, but they did say the couple would face a “racial dynamic,” and the end of the finale gives a glimpse of their first meeting at Kate’s wedding. As for Kevin’s bout with alcoholism in Season 2, Fogelman said they’re looking to move past that, too. That was Milo Ventimiglia’s reaction to what he considered the biggest final twist of the episode. 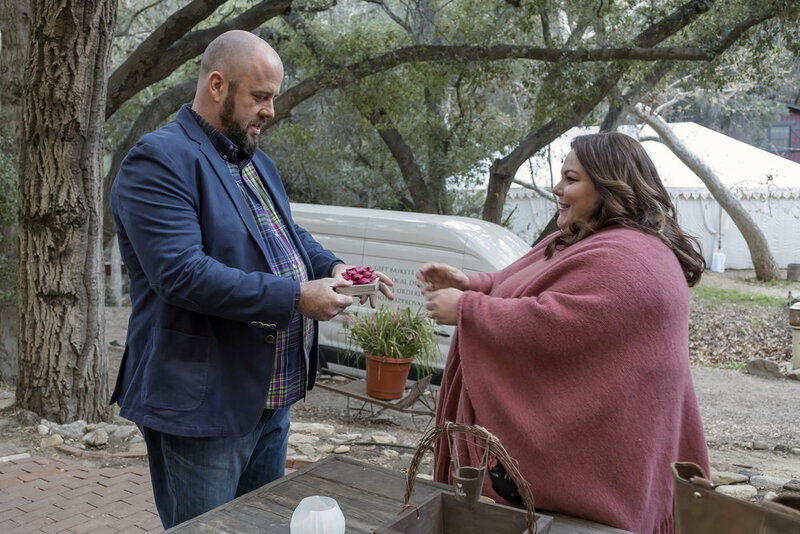 Toby (Chris Sullivan) has a history of depression, as his parents alluded to in the finale, and the cast and creator said he’d be facing that in Season 3. “This Is Us” has already been renewed for a third season. Season 3 is expected to premiere this fall.